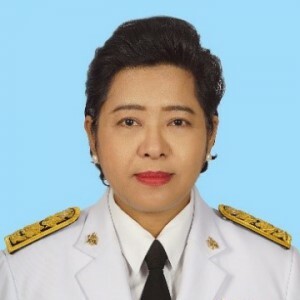 Born in 1959 and is married to Dr. Tanongsak Sahussarungsi. - Diploma, Northwood High School, Maryland, USA. 1984 - Received Fulbright Scholarship to pursue Master Degree at the Claremont Graduate University, California, USA. 2006 - Minister-Counsellor, Permanent Mission of Thailand to the United Nations, New York, USA. 1986 - United Nations Graduate Internship Program, the United Nations Headquarters, New York, USA. Under the United States Department of Defense in Honolulu, Hawaii, USA. 1984 - Fulbright Open Competition Scholarship Award for Graduate Studies, USA.